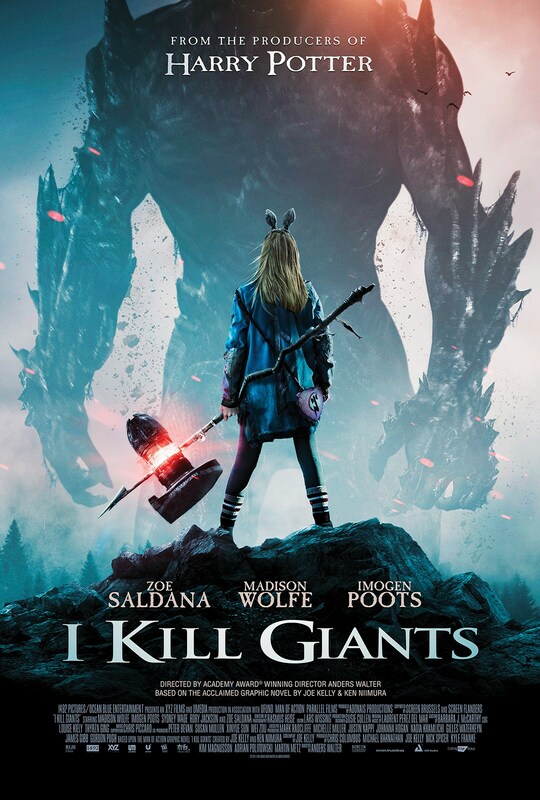 This is a new poster for I Kill Giants. 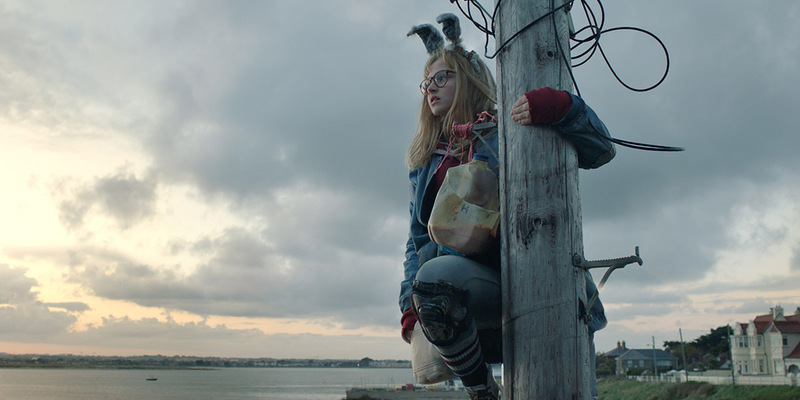 Based on Joe Kelly and Ken Niimura’s graphic novel, it was directed by Anders Walter, and stars Zoe Saldana (Guardians of the Galaxy, Avatar), Madison Wolfe (The Conjuring 2, Joy), and Imogen Poots (Green Room). Produced by Chris Columbus (Harry Potter and the Sorcerer’s Stone), the film arrives in theaters, On Demand and Digital HD on March 23rd. Check out the synopsis and poster below. "Life is not easy for our young heroine, Barbara Thorson (Madison Wolfe). Defiant, precocious, outspoken, and a loner, Barbara relates more to the make-believe world of Dungeons & Dragons. At home, she makes life difficult for her older sister, Karen (Poots), who is responsible for taking care of her and her brother. At school, psychologist Mrs. Mollé (Zoe Saldana) takes an interest in Barbara’s increasingly worrisome behaviour. As she deals with loss and bullying, Barbara’s imagined life begins spilling into her real one and she becomes obsessed with what she sees as her quest: killing giants. It’s only when she’s forced to face the truth and overcome her fears that Barbara is able to confront her demons."